Varun Sedov is a senior consultant with Forrester's Market Impact group. His team helps B2B marketers and technology providers better understand and engage with their customers through custom marketing content driven by objective research. Varun leads custom consulting engagements to create independent, data-fueled stories and deliverables that help his clients capture mindshare across channels and turn prospects into customers. In his previous role, Varun was a senior research associate at Forrester, where he managed qualitative and quantitative research projects for CIO and Enterprise Architecture Professionals. Working with Forrester analysts, Varun was responsible for the research planning and production process, as well as creating surveys, drafting and writing research, and performing data analysis. 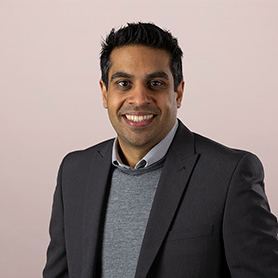 Varun has extensive knowledge of all of Forrester's key methodologies, having been involved in managing Forrester's first TechRadar™ research report (on supply chain applications) and developing the Total Economic Impact™ (TEI) methodology for research. Varun holds a B.Sc. in economics and management from Royal Holloway, University of London.